Protectrice des tournesols, elle aide et dirige la danse des abeilles permettant ainsi la pollinisation. Protector of sunflowers, it helps and directs the dance of bees for well pollination. 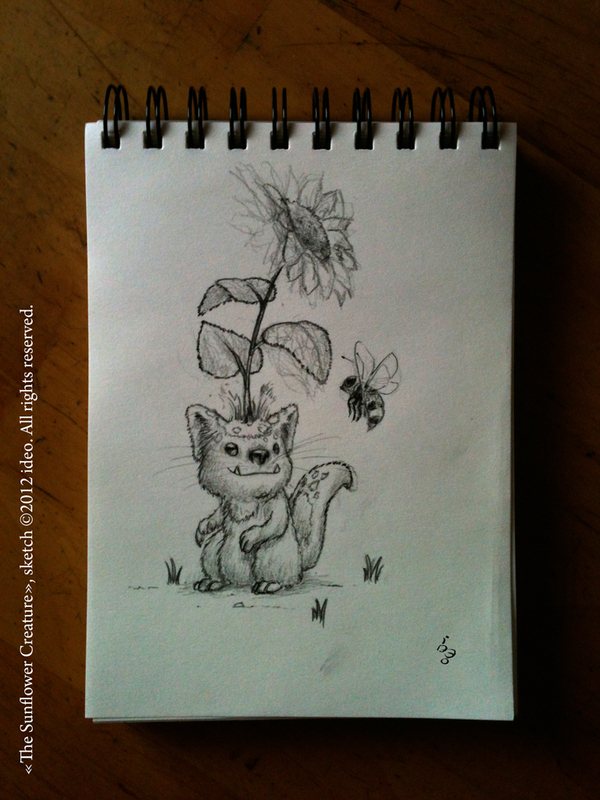 “The Sunflower Creature”, sketch ©2012 ideo. All rights reserved. And you can follow me now on tumblr: ideo on tumblr !